A key factor in the housing market recovery is returning to the national market en masse, much to the elation of housing market analysts. 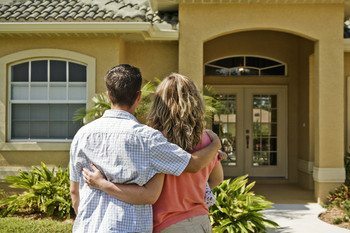 According to a recent Bloomberg article, more and more first-time home buyers are entering the market because they feel more confident about the economic recovery. Faster economic growth and a labor market that’s approaching “full employment” (according to the Federal Reserve) are aiding in that rise in confidence among first-time home buyers. Even if you’re not a first-time home buyer, this news is sure to benefit anyone who is navigating the national housing market right now. There will be a 6.3 percent increase in mortgage lending for purchases this year. This increase follows a 9.6 percent decrease in 2014. Increasing confidence in the job market is the strongest indication that home sales will improve. Consumers expect an increase of 1.7 percent in their incomes in 2015, the highest since 2008. Those under 45 years old expect the biggest gain at 4.7 percent. Meanwhile, economic growth (bolstered by consumer spending as well as business investment) is increasing. In fact, the Commerce Department reported that the US grew by 5 percent in the third quarter, which is the fastest since 2003. The Fed said it expects the economy will expand between 2.6 percent and 3 percent in 2015, up from 2.3 percent to 2.4 percent in 2014. Plus, the economy added more than 2.7 million jobs in 2014, which is the most since 1999, according to the Bureau of Labor Statistics. And the jobless rate will average 5.2 to 5.3 percent, which is at the level last seen before the financial crisis. All of this job growth and creation means that the median household income in 2014 increased 1.6 percent to $53,880 through November. Experts say that rate should increase through 2015. All of this growth and prosperity is driving young home buyers to the market. As they enter the market, more homes will change ownership, freeing up existing home owners to buy bigger and better homes. We’ve said it before and we’ll say it again: You need a regular stream of first-time home buyers to aid in the growth of any housing market. Thus, we’re thrilled that more and more first-time home buyers are coming back to the market. We hope you found today’s news on first-time home buyers as encouraging as we did! Check back here soon for more valuable information on the current state of the housing market and how it may impact you as a buyer or seller.